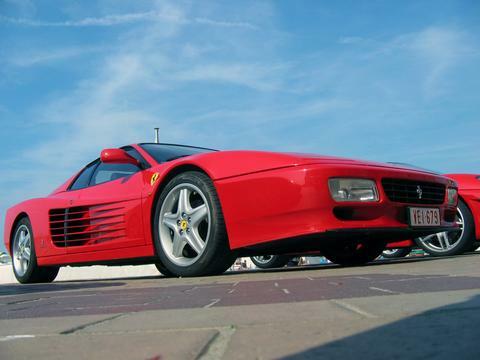 The 512 BB was announced at the 1976 Paris Motor Show. 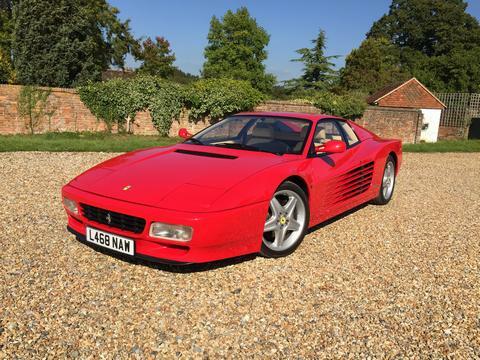 The 512 BB continued in production until 1981 when it was replaced by the 512 BBi, when fuel injection replaced the carburettors. A total of 929 examples were produced during this period with no USA market ever made. The new model name continued the theme started with the Dino series, of referring to the total engine capacity and number of cylinders, hence a 5 litre engine with 12 cylinders. The “BB” part of the model title means “Berlinetta Boxer”, a reference to the two banks of six cylinders that are in a horizontally opposed layout. The standard road wheels are alloy five spoke “star” pattern, with a knock off spinner on a Rudge hub, although legislative requirements in some markets dictated the fitment of a large octagonal hub nut. The wheels cover large ventilated disc brakes with twin hydraulic circuits, and servo assistance. Independent suspension is provided all round, via wishbones, coil springs, and hydraulic shock absorbers, with twin rear units, together with front and rear anti roll bars. This LHD 1978 Ferrari 512 BB is in its original paint colour of Black with a natural tan daytona-seated interior. The car has hardly been driven since a major mechanical overhaul by GTO Engineering in our Los Angeles workshop. It was imported new into the United States in 1978 by Amerispec with full U.S. specifications and subsequently one of two 512 BB converted to a ‘Targa’ by legendary coach-builders R. Straman Co. in Costa Mesa, California. The car in now located in the United Kingdom.